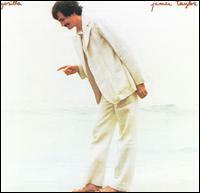 バンパイアな･･･Kenny Wheeler John Taylor /Where do we go from here ? Where do we go from here ? is triumph and tour de force. 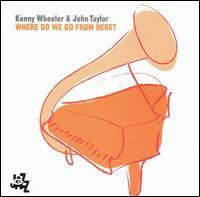 Continue reading "バンパイアな･･･Kenny Wheeler John Taylor /Where do we go from here ?" 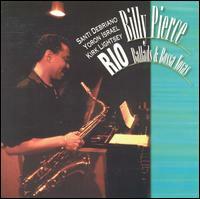 Continue reading "Karin Krog / Where Flamingos Fly"
Continue reading "Billy Pierce /Rio"
Yesterday, I’ve gotten a small parcel from UK. My friend living in England sent me a cassette tape titled " In concert”. I want to tell her my impression for the records. Then, I’m just writing with my poor English. This is live recording on Aug. ‘88. I’m very interested in this album. 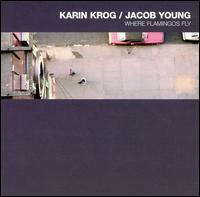 Because, in the previous year, her great work “some where called home” was released. It’s very happy to compare between these works. I like the live works. I can feel another tension different from studio works. 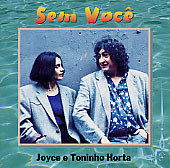 In this album, there are my favorite tunes, such as “Ladies in Mercedes”, “Café”, and so on. “Ladies in…” is a composition of Steve Swallow. I like this melody very much. There are many great performances played by various artists. 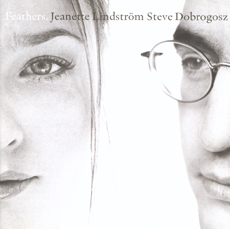 in the album “Like song, Like weather” recorded in ’99. You may feel the some difference of the taste. Of course, I can’t decide the order. In the previous version, this was played with rather relaxed tempo. I can’t breathe in this tune, as if I walked on tightrope. Maybe, you also feel so. Norma and John were very cool, very aggressive. In Japanese, “SUGOI!”. No, I want to scream “Sungeee!!”. Between John's brilliant solo, Norma plays mouth percussion(?? I don’t know how to express.)…. He is very great, and she is very cute. I want many people to listen this music, and feel the sound. As for Café, I have interests how they play this music without Sentimental Tony Coe. There is not large difference between two versions. But, you can listen John's solo instead of Tony. I like his solo performance. In this here, very good sounds, good tensions, good harmony….., many good something filled the air. I just now imagine, if I listened and watched them before my face. After John's solo, Norma’s voice emerges. I like this moment. Before the last theme, they play the interlude with double feeling. Maybe it’s spontaneous happening. I think it makes good effect. For other tunes, I also have many surprise and fun. If you'll find this cassette, you'll have happy time. I want to say that “Thank you very much!” for my friend in UK and Norma and John. I found information in Norma's homepage. She recorded with Italian pianist Grauco Venior, recently. I know other CD titled “Images”, and they play in this album. It’s great. I’d like to listen new one, and more and more her works. Actually, I want to listen her before my face. And, I should make money to travel in Europe! 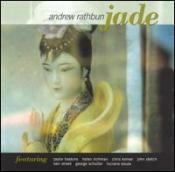 Recorded August 1988 at the Guildhall School of Music, London. 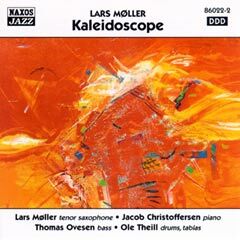 Continue reading "Drew Gress/ Spin & Drift"
Continue reading "指のさしている先は？　James Taylor /Gorilla"
Continue reading "万華鏡くーるくる　Lars Moller/ Kaleidoscope"
Continue reading "Jeanette Lindström / Feathers"
Continue reading "Andrew Rathbun/ Jade"